Who will you tell about the robotic cell deployment project? Who will be put in charge? And who will actually carry it out? 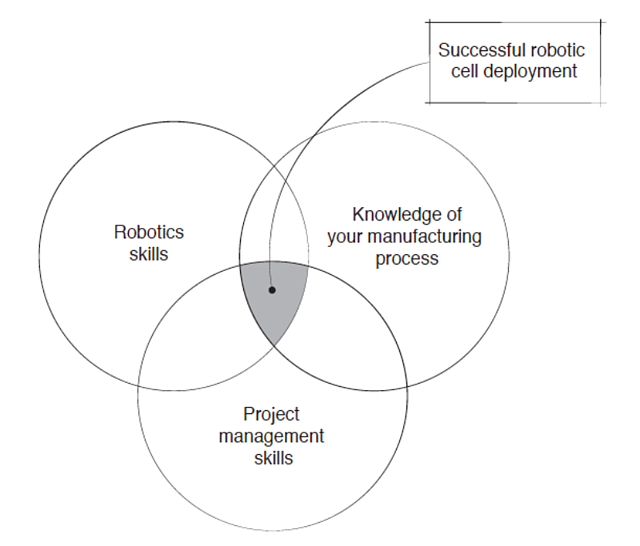 The Team Roles And Responsibilities Spreadsheet will help you identify all the roles people will play in your robotic cell deployment project. To keep track of who’s responsible for what, fill in the right-hand column with the names of each team member. In larger organizations, people’s roles might seem to be predefined by their job titles. However, several roles might still be played by the same person, as is often the case in smaller factories. Filling out the spreadsheet will help you target the right colleague for the right role. Fill-in the form on the right to get the Team Roles And Responsibilities Spreadsheet.